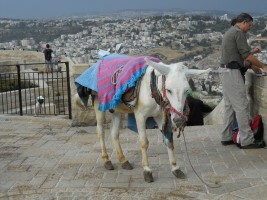 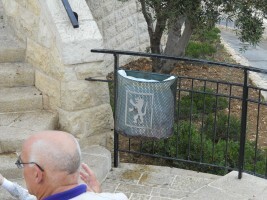 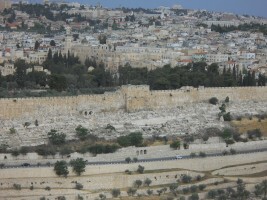 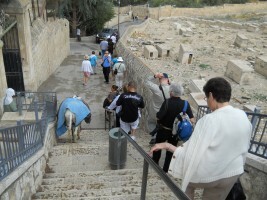 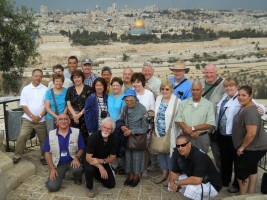 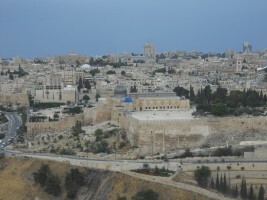 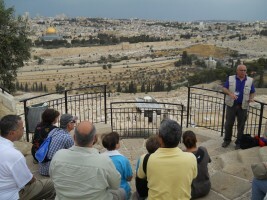 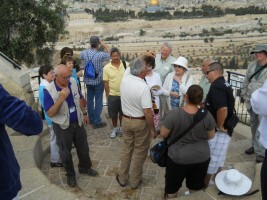 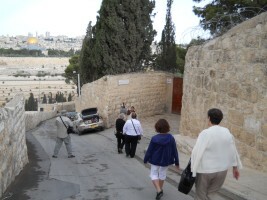 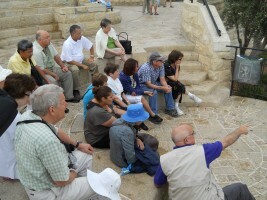 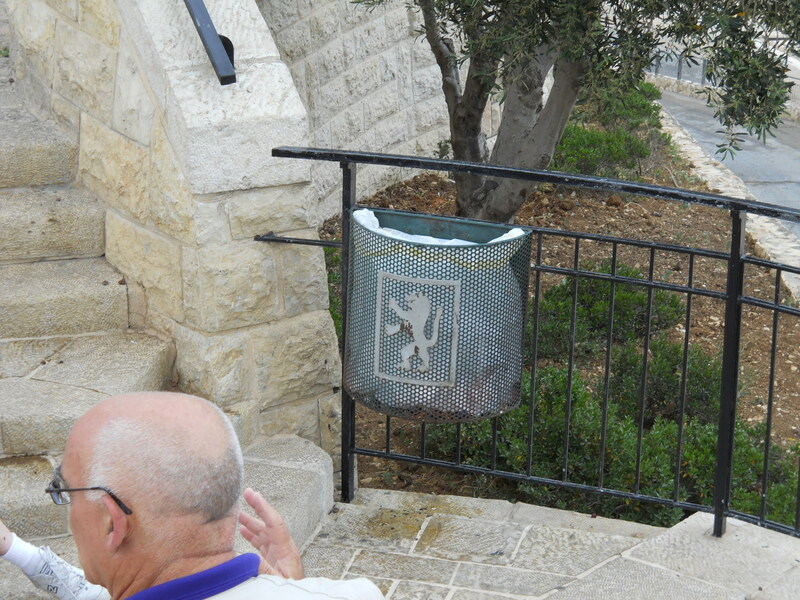 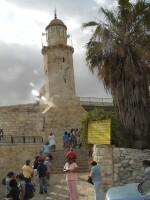 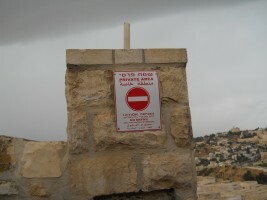 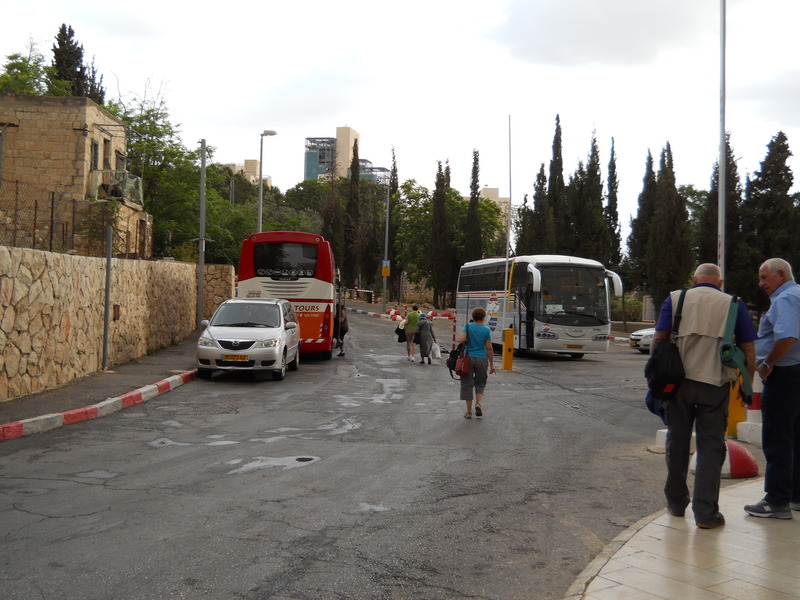 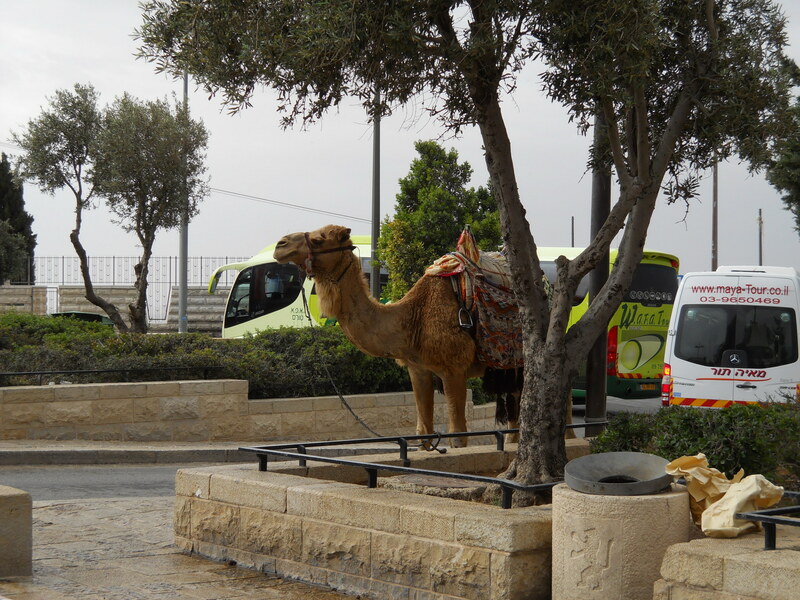 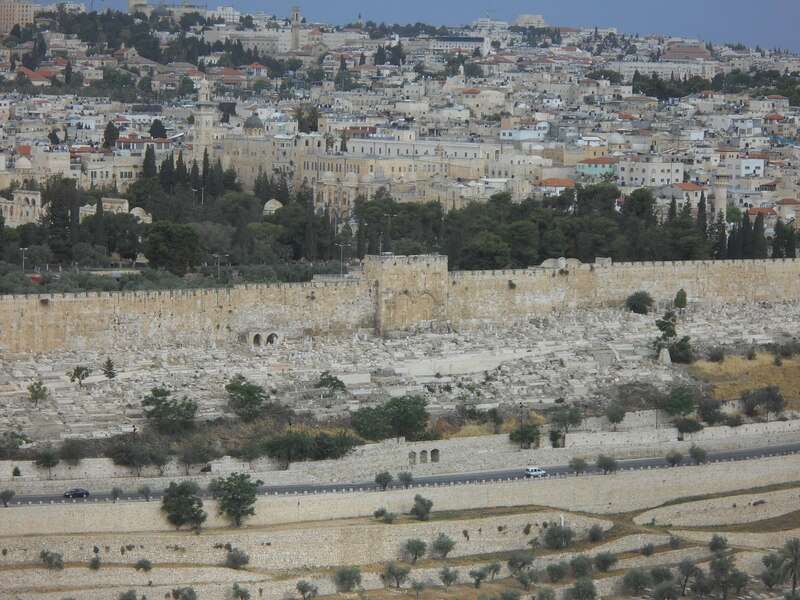 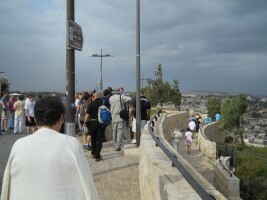 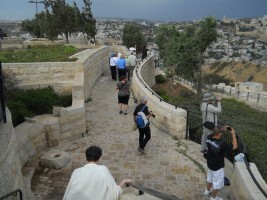 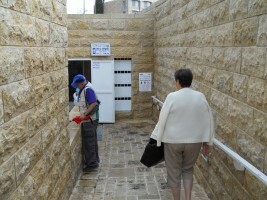 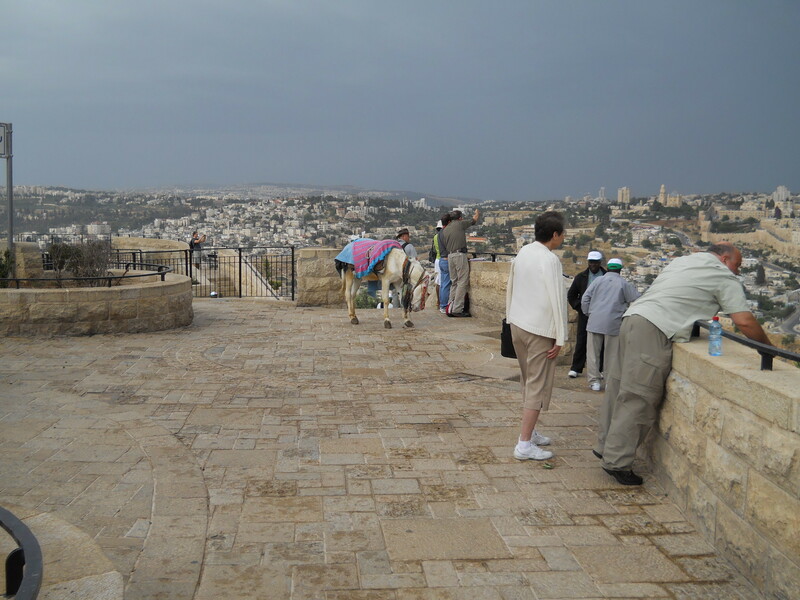 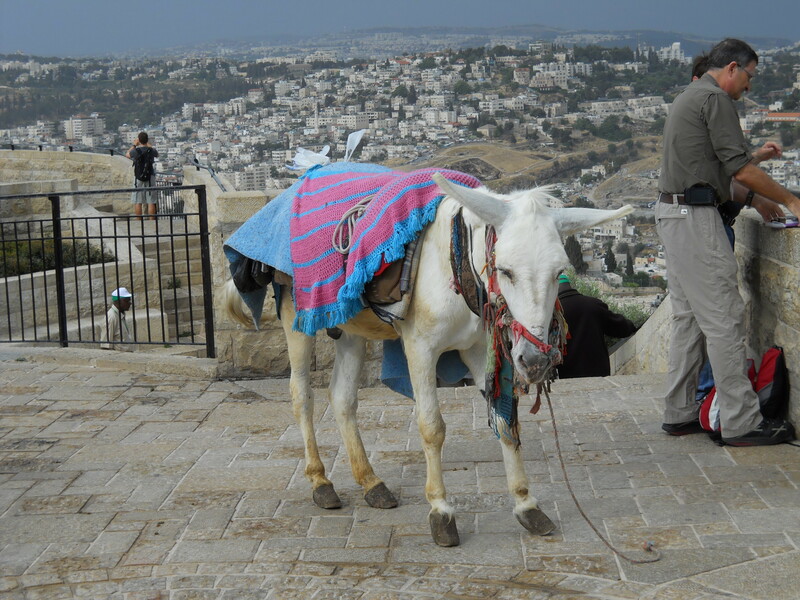 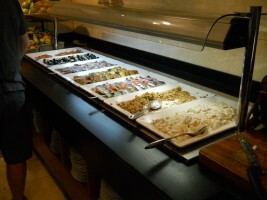 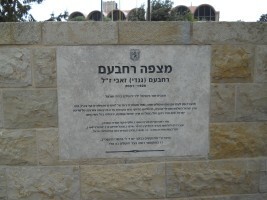 The Mount of Olives is mountain ridge located to the southeast of the Old City in Arab East Jerusalem. 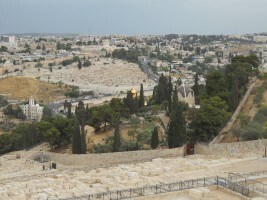 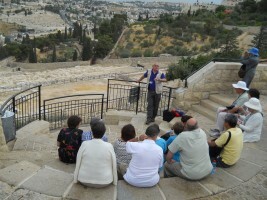 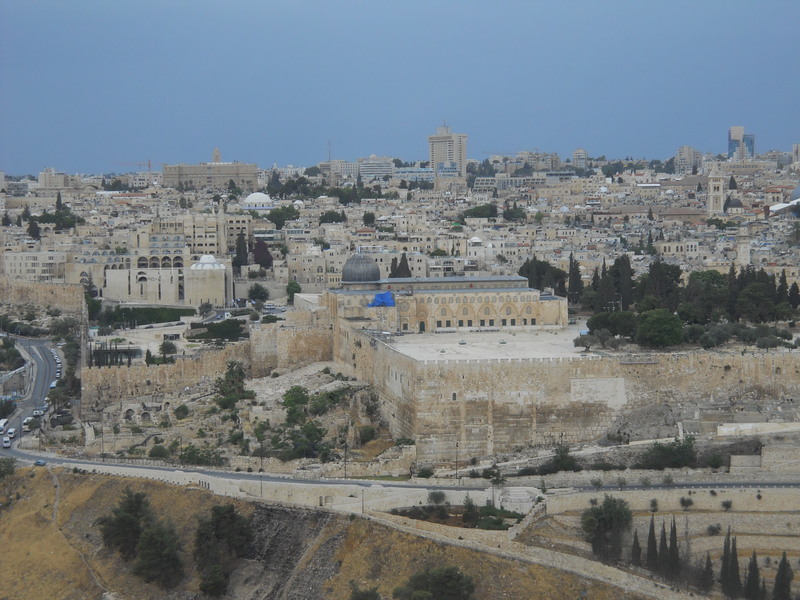 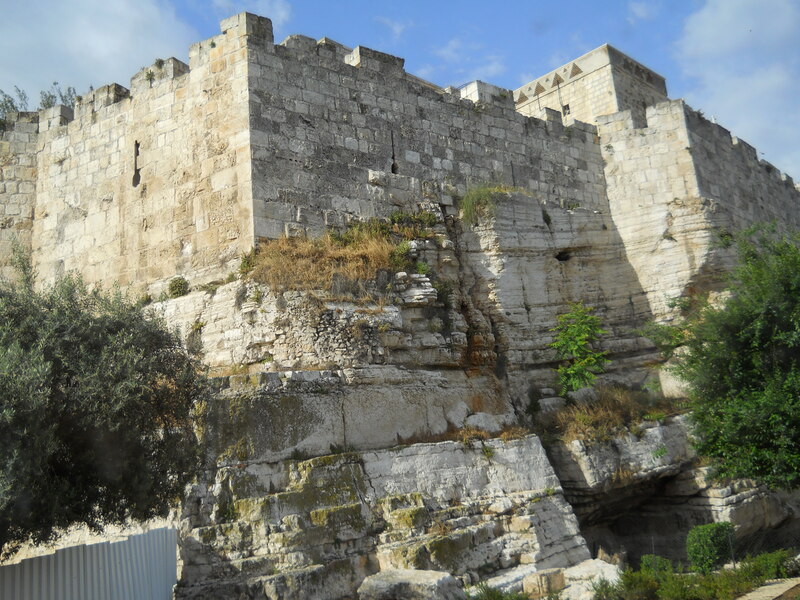 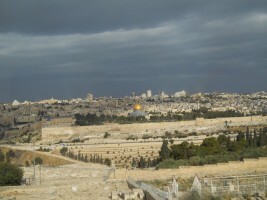 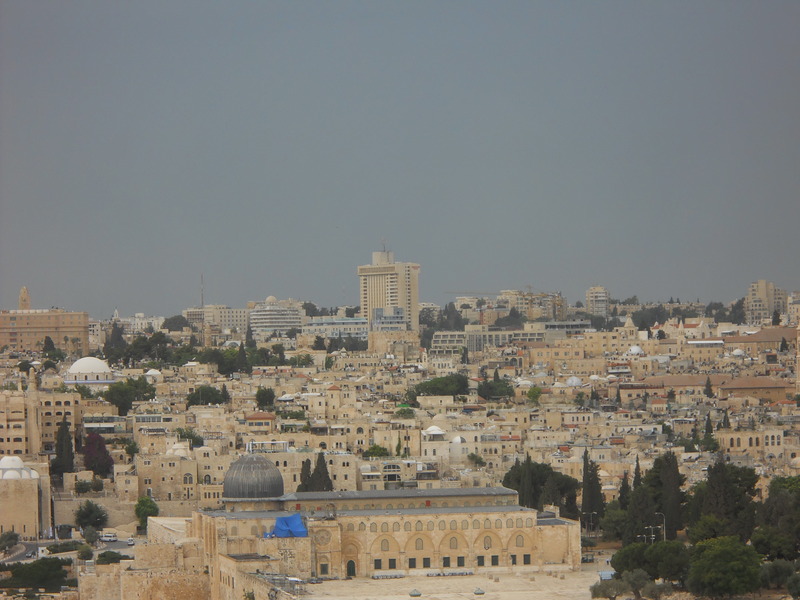 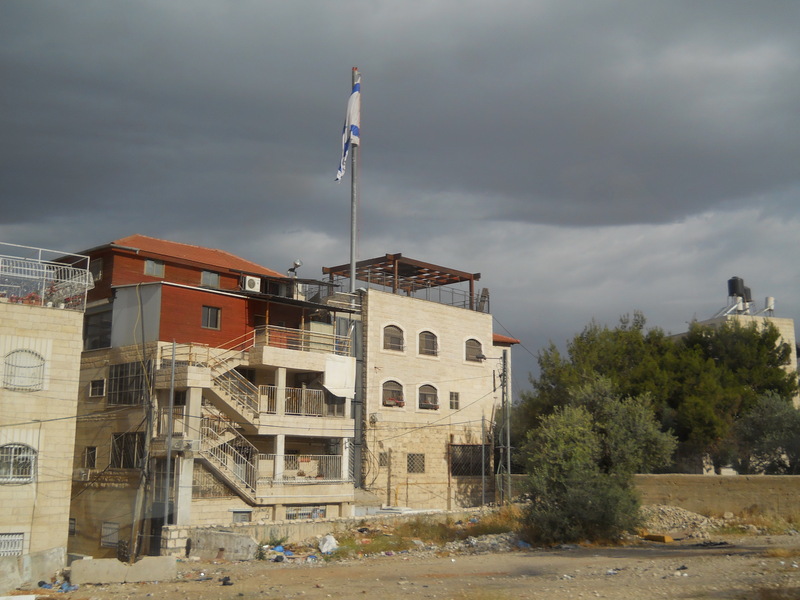 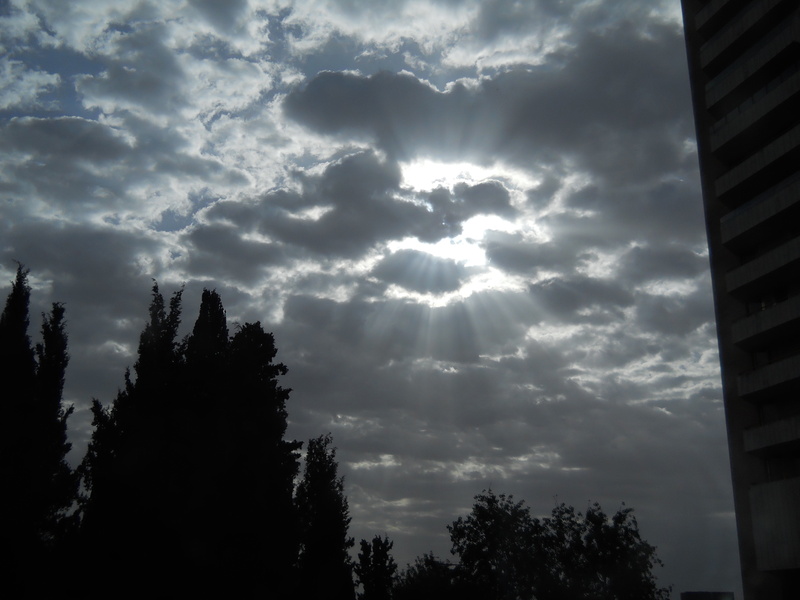 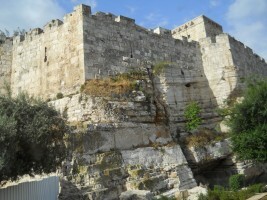 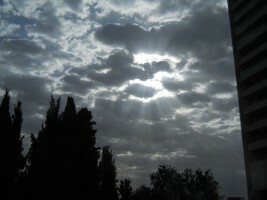 The Mount of Olives is mentioned in a few places in the old testament but is a more significant player in the ministry and final days of Jesus as recorded in the new testament. 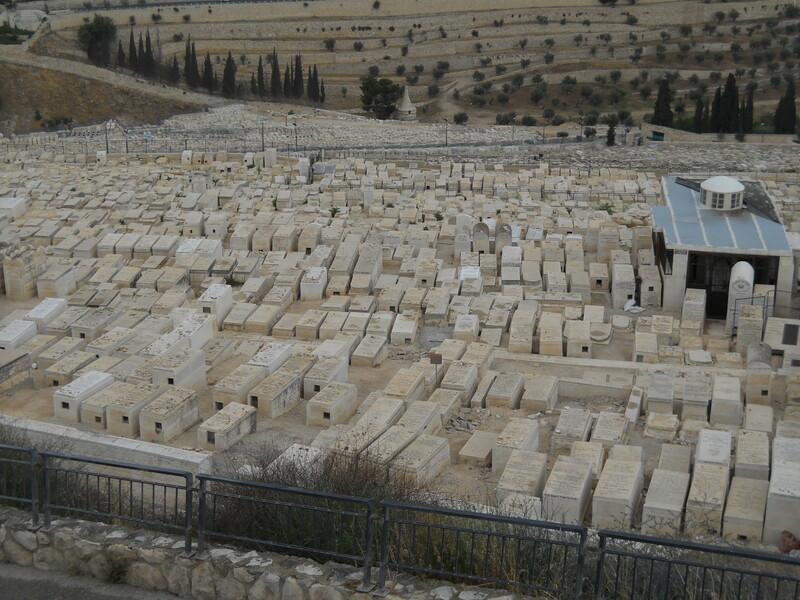 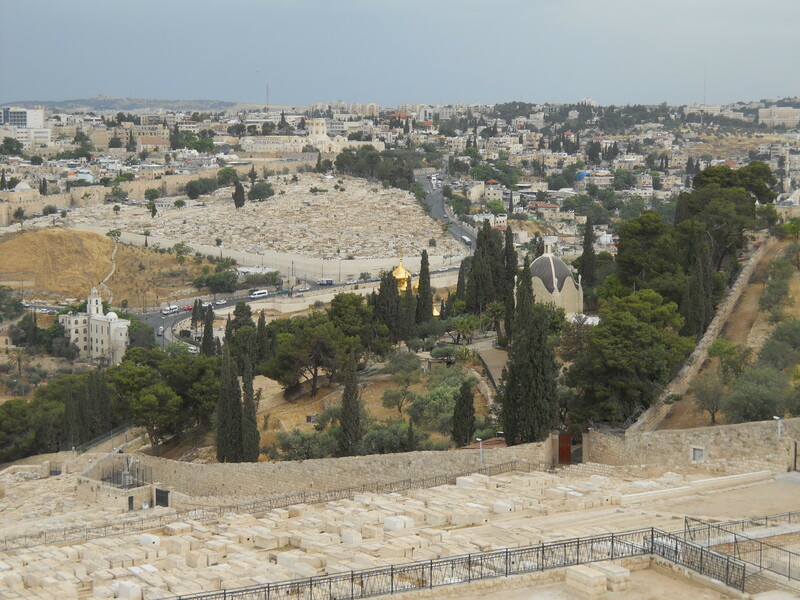 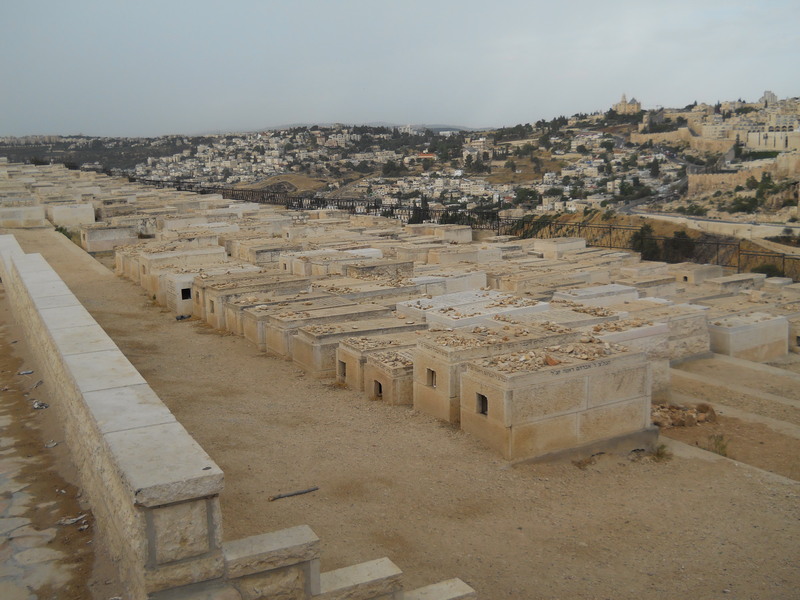 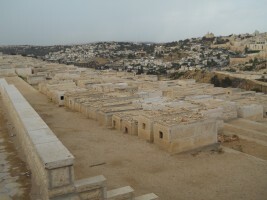 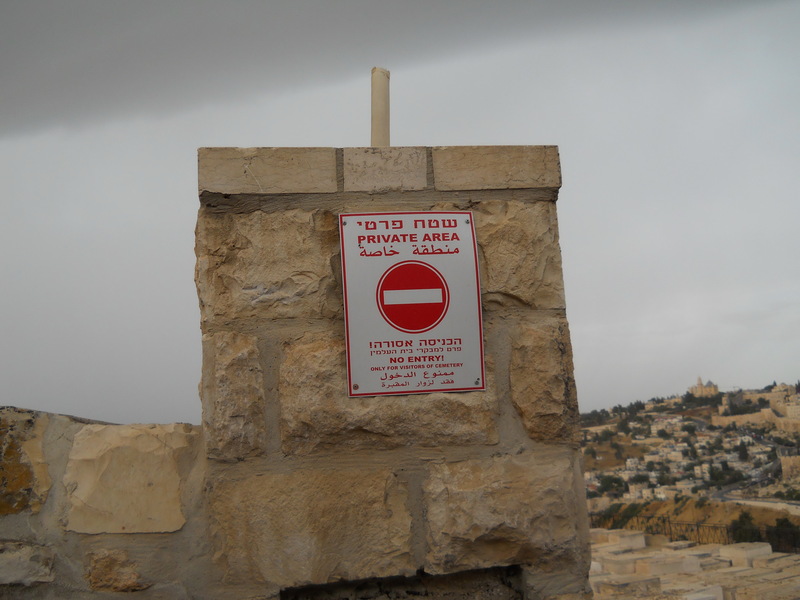 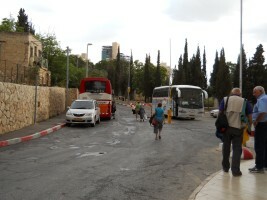 While it then follows that most of the holy sites on the Mount of Olives are Christian, the Mount of Olives is also the location of a massive and ancient Jewish cemetery that includes some dramatic rock-cut tombs. 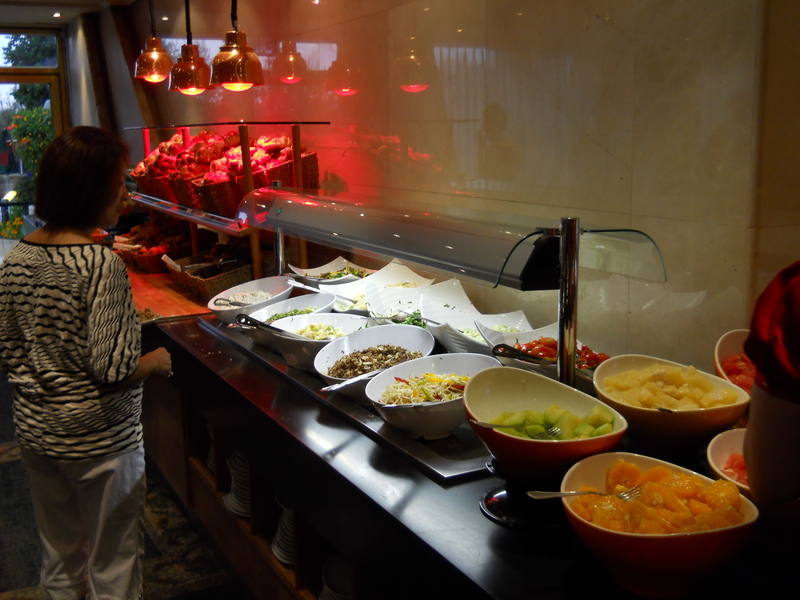 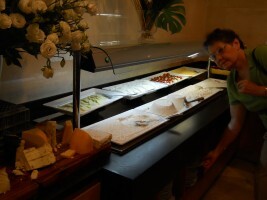 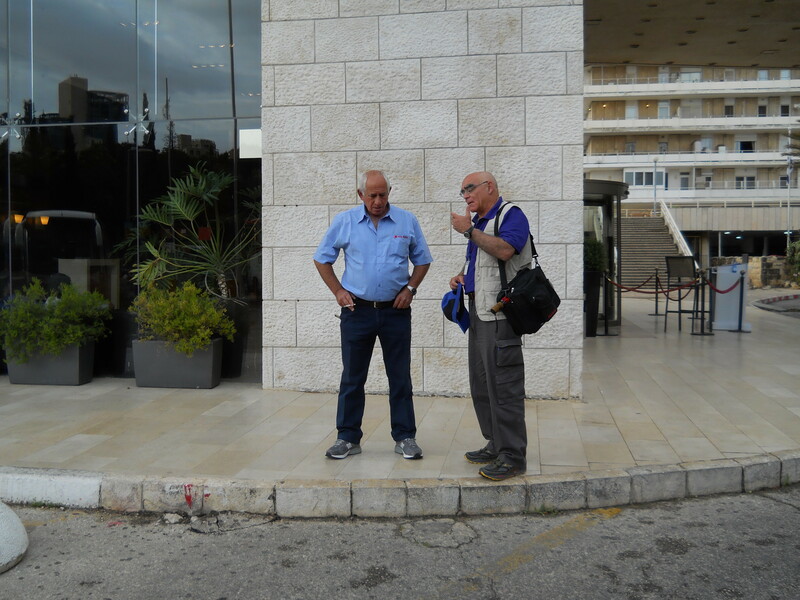 After breakfast, our tour of the Mount began from an observation point at the top, from where we descended along steep and narrow streets to holy sites below. Complicating the descent was my mother's bad knees, a brief rain shower that made the streets quite slippery, and an unholy amount of automobile traffic.